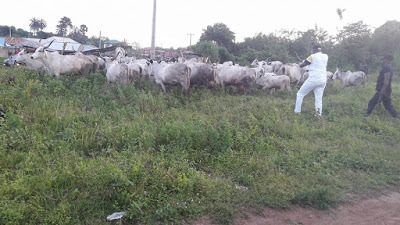 Yesterday, governor Ayo Fayose personally supervised the arrest of some cows along Afao Ekiti road in Ado Ekiti, just weeks after signing the State Anti Grazing Law. 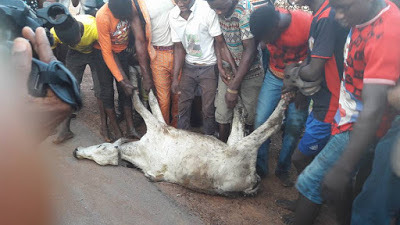 Read what was shared by his media aide, Lere Olayinka. 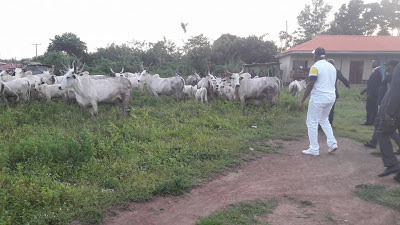 As Governor Fayose was going to Ikole Ekiti today, he came across herdsmen along Afao Ekiti road, Ado Ekiti. 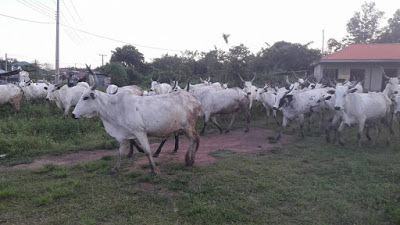 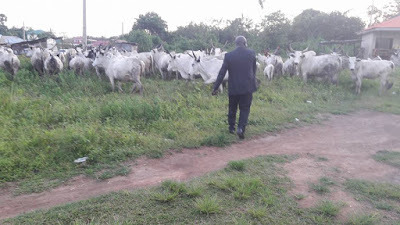 The governor demonstrated the seriousness of the State Anti Grazing Law by personally seeing to it that one of the COWS was "arrested" by youths who chased the cows after the herdsmen ran into the bush upon seeing the governor's security men. The remaining cows ran into the bush too. 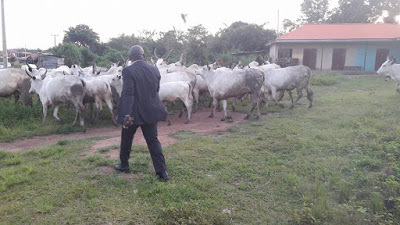 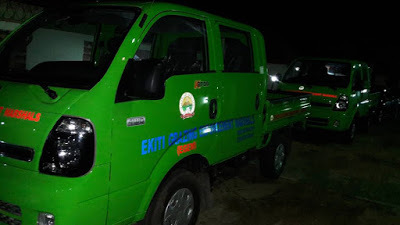 Ekiti Grazing Enforcement Marshall (EGEM) will start work in few days time.